Is Paul George’s shoulder a legit issue or just an excuse for OKC? The Starters discuss. After OKC's poor 3-point shooting and Paul George's shoulder injury, will the Thunder bounce back in Game 2? After appearing in only six games during the 2014-15 season, George returned to the court to start 81 games while averaging 23.1 points, 7.0 rebounds, 4.1 assists and 1.9 steals in 33.1 minutes per game … Shot 41.8 percent from the field, 37.1 percent from three-point range and 86.0 percent from the free throw line … Among qualified league leaders, he finished 10th in the NBA in scoring, 45th in rebounding, 40th in assists, 8th in steals and 21st in minutes per game … His 1,874 points scored marked the third-highest individual scoring total in Pacers NBA franchise history while his average of 23.1 points per game ranks fifth … Made a career-high 210 three-point field goals during the regular season, 6th in the NBA and second in franchise history behind Reggie Miller’s total of 229 set during the 1996-97 season … Attempted more three-pointers (566) than any player in NBA franchise history … Made 454 free throws (6th in the NBA, 4th in franchise history) on 528 attempts (9th in the NBA, 5th in franchise history) while shooting 86.0 percent from the foul line (21st in the NBA) … Recorded a career-high 152 steals as he paired with Monta Ellis (150) to become the first Pacers duo since since Dudley Bradley (211) and Mickey Johnson (153) during the 1979-80 season to each record 150 or more steals in a season … Scored in double figures in 78 games, including new career highs with 51 games of 20 or more points and 21 games with 30 or more … Recorded a team-high 15 double-doubles, tied for 42nd in the NBA during the regular season … Became the first Pacers player in NBA franchise history to score 40 or more points three times in one season, and the first player since Chuck Person in 1988-89 to score 45 or more points twice … In the win at Washington, 11/24, he scored 40 points and teamed with C.J. Miles (32) to become the first Pacers’ duo since the 1977-78 season to post 40+/30+ scoring totals in the same game. Miles (8) and George (7) also became the fifth pair of teammates in NBA history to make at least seven three-pointers in the same game … Set a new career high with 48 points while shooting 15-27 from the field, 8-11 from three-point range and 10-13 from the free throw line at Utah, 12/5…Finished with 45 points on 14-29 shooting from the field and 13-15 from the foul line against Oklahoma City, 3/19 … Scored 20 points and set a new career high with seven steals at Houston, 1/10 … Named Eastern Conference Player of the Month for November after averaging 27.2 points, 8.1 rebounds and 4.4 assists per game through the opening month of the season … Earned his fourth-career Eastern Conference Player of the Week honor after averaging 37.3 points, 6.7 rebounds and 2.3 assists per game from Nov. 24-29. He finished 30 or more points in three straight games for the first time in his career while shooting 54.7 percent from the field, 57.1 percent from three-point range and 86.7 percent from the free throw line during that span … Made his third-career All-Star Game appearance in February after being voted as a starter for the second time in his career … Set an NBA All-Star Game record with nine three-point field goals and led all scorers with 41 points – one point shy of Wilt Chamberlain’s record of 42 points set during the 1962 NBA All-Star Game ... Passed the 5,000-point barrier in the win over Miami, 12/11 … Grabbed the 3,000th rebound of his career against Milwaukee, 12/31…Recorded the 1,000th assist of his career at Denver, 1/17 … Scored his 6,000th point in the win over Boston, 3/15 … Recorded one DNP-CD, during the regular season finale at Milwaukee, 4/13. Now the longest-tenured player on Indiana’s roster, George has appeared in 373 career games (325 starts) with the Pacers over six seasons (2010-16) … He holds career averages of 16.9 points, 6.2 rebounds, 3.1 assists and 1.7 steals per game … Has shot 42.5 percent from the field, 36.4 percent from three-point range and 83.8 percent from the free throw line over his career … Has recorded 52 career double-doubles, including two regular season triple-doubles … George recorded a careerhigh 23 double-doubles during the 2012-13 season … 2014-15: Appeared in the final six games of the regular season, averaging 8.8 points, 3.7 rebounds and 1.0 assists in 15.2 minutes per game… Shot 36.7 percent from the field, 40.9 percent from three-point range and 72.7 percent from the foul line… Scored in double figures in four of his six appearances … Placed on the inactive list for the first 76 games of the regular season while rehabilitating a broken right leg … Made his season debut on April 5 as he finished with a season-high 13 points on 5-for-12 shooting and 3-for-6 from three-point range to go with two rebounds, two assists and two steals in 15 minutes off the bench in the win over Miami ... 2013-14: Finished 9th in the NBA and fifth in Pacers’ NBA-franchise history with a career high 1,737 points during the regular season (21.7 points per game) … Led the team and ranked fourth in the league with a career-high 151 steals in the regular season … Set new career-highs in free throws made (401), free throw attempts (464), and free throw percentage, finishing 9th in the NBA at 86.4 percent … Tied Danny Granger’s 2008-09 mark for third in franchise history with 182 three-point field goals during the regular season … His career-high 500 three-point attempts ranked second behind Reggie Miller (536, 1996-97) in club history … Averaged 6.8 rebounds per game with 13 games with 10 or more boards … Registered 50 games with 20 or more points – most in his career – including 11 games with 30 or more … The Pacers posted a 38-12 record when George scored 20+ points and an 8-3 mark when he reached 30 or more … Led the team in scoring in 49 games, rebounding 23 times and assists in 14 games … Became the first Pacer since Jermaine O’Neal (December, 2003) to earn Eastern Conference Player of the Month recognition in November after averaging 23.6 points, 6.1 rebounds, 3.3 assists and 2.1 steals per game in the opening month of the season … Earned Player of the Week honors twice during the regular season, becoming the second player in franchise history to receive the honor twice in one season (Ron Artest, 2003-04). He averaged 25.1 points, 7.9 rebounds and 4.0 assists per game in the week of Nov. 10. Also led the team to a 3-0 mark while averaging 23.2 points and shooting 61.9 percent from three-point range (13-for-21) in the week of Jan. 19 … Selected to his second consecutive Eastern Conference All-Star team and became the third player in team history to be voted as a starter in an NBA All-Star Game joining Reggie Miller (1995) and Jermaine O’Neal (2003, 2004, 2006) … finished with 18 points, five rebounds, five assists and two steals in the East’s 163-155 win in New Orleans on Feb. 16 … Participated in the 2014 Sprite Slam Dunk Contest as he paired with Toronto’s Terrence Ross and Washington’s John Wall to help the Eastern Conference win the title in the new team-formatted contest … Scored a career-high 43 points at Portland, 12/2. Also set new career-highs by shooting 16-for-30 from the field and hit seven of his career-high 15 three-point attempts … His 15 three-point field goal attempts came one shy of the franchise record for most in one game held by Reggie Miller (at Milwaukee, 4/18/93) … Recorded his second-career regular season triple-double with 10 points, 12 rebounds and a season-high 10 assists against Chicago, 3/21 … Finished with 13 games with 10 or more rebounds and 12 double-doubles during the regular season … Set new career-highs with 15 free throws on 16 attempts in a 24-point outing against the 76ers, 3/17 … Played a career-high 49 minutes as he scored 35 points in the team’s overtime win at New York, 11/20 … Tied a career-high with six steals against Atlanta, 4/6 … Did not play in the game at Milwaukee, 4/9 – his first DNP-CD since his rookie season (12/28/10 at Boston) – while also sitting out the regular season finale at Orlando by coach’s decision … 2012-13: The NBA’s KIA Most Improved Player for the 2012-13 season, he was the only player in the NBA to average at least 17.0 points, 7.5 rebounds, 4.0 assists and 1.75 steals per game … Earned All-NBA Third Team and NBA All-Defensive Second Team honors … Made his first NBA All-Star appearance … In addition to his 17 points, four assists, three rebounds and two steals for the East, he also participated in the Foot Locker 3-pt Contest on All-Star Saturday night … Finished 10th in the NBA with 170 3-pt FG and second in the Eastern Conference behind Atlanta’s Kyle Korver (189) … Posted a team-high 23 double-doubles, including his first career triple-double vs. Charlotte, 2/13 (23 points, 12 rebounds and a career-high 12 assists,) … Including three 30-point games, he tallied 20 or more points 34 times … The first Indiana player to be named the NBA Eastern Conference Player of the Week since Danny Granger in 2007-08, he led the Pacers to a 3-0 record in the week ending Dec. 16 with averages of 23.3 ppg, 7.0 rpg, 4.3 apg and 1.7 spg … Scored a season-best 37 points, including a franchise record nine 3-pt FG, in an overtime victory over New Orleans, 11/22/13 … Second on the team with an average of 7.6 rebounds per game, his 23 games with 10 or more boards featured a career-best 17 in the Pacers’ double-overtime win over Sacramento, 11/3 … His team-high 143 steals included a career high six on two separate occasions: vs. New York, 1/10, and at Brooklyn, 1/13 … Was not with the team for its game vs. Charlotte, 1/12, due to a case of the flu and he did not dress against Philadelphia, 4/17, due to an abdominal strain … 2011-12: Finished with averages of 12.1 points, 5.6 rebounds, 2.4 assists and 1.6 steals per game … Shot .440 from the field, .385 from three-point range and .802 from the free throw line … Scored in double-figures in 43 games, and 20 or more eight times … His 108 steals ranked sixth in the league … Ranked 14th in the NBA with a steals-to-turnover ratio of 0.923-to-1 ... Shot 7-for-11 from beyond the 3-pt line on his way to a season-best 30 points at Dallas, 2/3/12 ... his 30-point game against the Mavs was one of his eight outings with 20+ points ... Recorded a season-high 16 rebounds, including 13 defensive boards, in the Pacers’ win over Oklahoma City, 4/6 ... Scored the 1,000th point of his NBA career against the Knicks, 3/17 ... 2010-11: Averaged 7.8 points, 3.7 rebounds and 1.1 steals per game to earn NBA All-Rookie Second Team recognition … After making appearances in just eight of the season’s first 29 games, and being on the Pacers’ inactive list for 15 straight (11/28 to 12/28), he played in every one of the team’s remaining 53 games and started the final 19 ... In his 19 starts, he shot better than 34 percent from 3-pt range (13-38), as opposed to 28 percent (28-100) as a reserve … Scored a season-high 23 points on 9-15 FG and 5-6 3-pt FG to go with six rebounds and four assists vs. Washington, 4/6 ... Was 7-11 from beyond the arc in the final six games ... Shot 76.2 percent (77-101) from the foul line in 2011-12 and ranked eighth among NBA rookies with 50 or more games ... Grabbed at least five boards 19 times with a season-high 10 vs. Philadelphia, 3/8. Has helped Indiana make the playoffs in five of the last six seasons and has started all 61 of Indiana’s playoff games over that span … Has averaged 18.4 points, 7.2 rebounds, 3.8 assists and 1.7 steals per game in his playoff career … Owns postseason shooting percentages of .427 from the field, .358 from three-point range and .798 from the free throw line … Has recorded 17 playoff double-doubles, including one triple-double with 23 points, 11 rebounds and 12 assists vs. Atlanta, 4/21/13 … 2015- 16: Started all seven games in Indiana’s First Round series against the Raptors … Led all NBA players through the First Round in scoring with an average of 27.3 points per game to go with 7.6 rebounds, 4.3 assists and 2.0 steals per game … Shot 42.7 percent from the field, 41.9 percent from three-point range … Set Indiana franchise records for a seven-game playoff series with 61 free throws, 64 free throw attempts, a .953 free throw percentage and 191 points scored … George made and attempted at least 10 free throws in four of the team’s seven games … Finished with 20 or more points in six games with two games of 30 or more … Tied his playoff career high with 39 points as he shot 11-for-19 from the field, 5-for-11 from three-point range and 12-for-12 from the free throw line … Recorded three doubledoubles during the series … 2013-14: Started all 19 games in the Pacers’ run to the Eastern Conference Finals…Averaged 22.6 points, 7.6 rebounds, 3.8 assists and 2.2 steals per game … Scored in doublefigures in every game with 12 games of 20 or more and three games with 30 or more … Recorded a double-double in six of the seven games in the First Round series against the Hawks, including one in each of the first five games… Tied a playoff career-high with 14 rebounds to go with 12 points in Game 3 at Atlanta, 4/24…Averaged 23.9 points, 10.7 rebounds, 4.6 assists and 2.4 steals per game in seven games against Atlanta … Set franchise records for a seven-game playoff series with 68 defensive rebounds, 75 total rebounds, 17 steals and 284 minutes played (40.6 mpg) …Tied a franchise playoff record with seven three-point field goals as he scored a career-high 39 points in a Game 4 road victory at Washington, 5/11… Set a postseason franchise record with 28 field goal attempts as he scored 37 points, including 21 in the fourth quarter (most in any period in his career) in Indiana’s Game 5 win over Miami, 5/28…Set Indiana playoff records for a six-game series with 19 three-point field goals on 50 attempts against the Heat in the Eastern Conference Finals … 2012-13: Started all 19 playoff games as the Pacers reached the Eastern Conference Finals… Averaged 19.2 points, 7.4 rebounds, 5.1 assists, and 1.3 steals per game while shooting 43.0 percent from the field… Scored in double figures in 17 of the 19 games with 11 games of 20 or more… Posted five double-doubles, including his first career playoff triple double in Game 1 vs. Atlanta, 4/21, with 23 points, 11 rebounds, and a postseason careerhigh 12 assists…Scored 18 points and set a postseason career-high with 14 rebounds in the Game 4 win vs. New York, 5/14… Averaged 19.4 points per game and shot 44.1 percent from three-point range in the Eastern Conference Finals against Miami… Posted his highest scoring game of the postseason with 28 points on 11-for-19 shooting in the Game 6 win over the Heat, 6/1 … 2011-12: Started all 11 games as the Pacers reached the Eastern Conference Semifinals, averaging 9.7 points, 6.6 rebounds and 2.4 assists per game while shooting 38.9 percent from the field and 78.6 percent from the free throw line… Scored in double-figures in six games with a high of 17 points in Game 2 vs. Orlando, 4/30… Recorded two double-doubles, including the first of his playoff career with 10 points and 11 rebounds in the Game 2 win at Miami, 5/15... 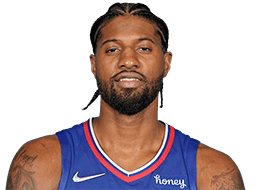 Among players that made at least 10 appearances in the 2012 postseason, he ranked sixth in the NBA with 1.64 steals per game … 2010-11: Started all five games of the Pacers’ First Round series with Chicago, averaging 6.0 points, 5.0 rebounds and 2.0 blocks in 26.4 minutes per game… Recorded his best scoring output with nine points on 4-for-7 shooting in Indiana’s only win in the series in Game 4, 4/23…Pulled down a team-high 12 rebounds in Game 3, 4/21…Led the team with 10 blocked shots in the series, including a career-high four blocks in Game 2 at Chicago, 4/18. 2016: In his first game action in international play, George helped the United States Men’s National Team earn the gold medal at the 2016 Olympic Games in Rio de Janiero, Brazil … Appeared in all eight games and made two starts during the Olympics while finishing fourth on the team in scoring with 11.3 points per game to go with 4.5 rebounds and 1.9 assists per game … Led the United States with 12 steals … Shot 45.0 percent from the field, 28.0 percent from three-point range and 85.0 percent from the free throw line. 2009-10: Averaged 16.8 points, 7.2 rebounds, 3.0 assists and 2.2 steals per game while shooting 42.4 percent (154-363) from the field and 35.3 percent (122-308) from 3-pt range ... Completed the best single-season free throw percentage in program history, hitting 120-132 FT (.909) ... he scored a career-high 30 points and converted all nine free throw attempts in an 83-64 victory over New Mexico State, 2/11 … Dished out a career-high seven assists with only one turnover in a 79-68 win over CSUBakersfield, 2/23...Drained a career-high 15 free throws on 17 attempts on the road at Nevada, 2/17… Finished second in the WAC in free throw percentage (.909) and steals (64) … Fourth in the WAC in defensive rebounds (5.3), sixth in points per game (16.8), tenth in minutes played (962), 11th in rebounds (210), 12th in 3-pt FG made (59) ... 2008-09: Ranked as one of the top 15 freshmen scorers in the NCAA and was one of only two Bulldogs to start all 34 games ... Averaged 14.3 points, a team-high 6.2 rebounds, 2.0 assists and a team-high 1.7 steals per game while shooting 47 percent from the field ... Recorded the third-best season 3-pt field goal percentage (.446) in Bulldog history ... Led the team with six double-doubles...on the season, he led the WAC in minutes played (1176) and finished second in the conference in 3-pt shooting (.447), steals (59) and steals per game (1.74) while ranking fifth in defensive rebounds (149) and 3-pt FG made (63) …Was seventh in rebounds (212), nine in points per game (14.3), and 10th in blocked shots (34) ... Scored a season-high 29 points, the fifth highest scoring WAC performance in a conference game ...in WAC contests, he averaged 14.3 points and 6.4 rebounds per games while shooting 42 percent from the field. The son of Paul and Paulette George, he has two older sisters - Teiosha, who played basketball at Pepperdine, and Portala, who played volleyball at CSU-San Bernardino ... He enjoys listening to music, fishing, playing video games, hanging out with friends, and bowling ... While at Fresno State, he was a participant and volunteer for “Read to Achieve” ... Spokesperson for the American Heart Association … Sponsors his own player section at Bankers Life Fieldhouse … He most admires his mom because of her strength ... During his senior season at Pete Knight H.S., he averaged 25 points, 12 rebounds, three assists, and three steals per game ... He was named Golden League Most Valuable Player, Antelope Valley Press Player of the Year, and a member of the Daily News 2007-08 All-Area Boys’ basketball team ... He also participated in the Battle of the Valley All-Star Game.